Pams Party & Practical Tips: Where Have I Been? Some of you might be wondering where I have been the last few days. Remember last week when I mentioned how busy my week was on the Overfull Week post. Well this week has been even more hectic. In fact the next few weeks will be a bit chaotic. Take yesterday, for example. I think it was the busiest day of the week. . I got in and out of the car so many times, I felt like I was living in the car. Go to Kara's school for pick up so I can take her to her Physical Therapy appt, which is an hour long. Help with counting during her appointment, to keep her from cheating on her numbers. Arrive home at almost 6 p.m.
Do some more home school work, and then start making sure the other 2 are doing their homework. Tell them to do their homework at least 5 times. Finally go to bed around 11:30 pm, totally exhausted, and countdown the days to summer break. On Monday I assisted at the Girl Scout meeting to make blankets for the Chemotherapy center. 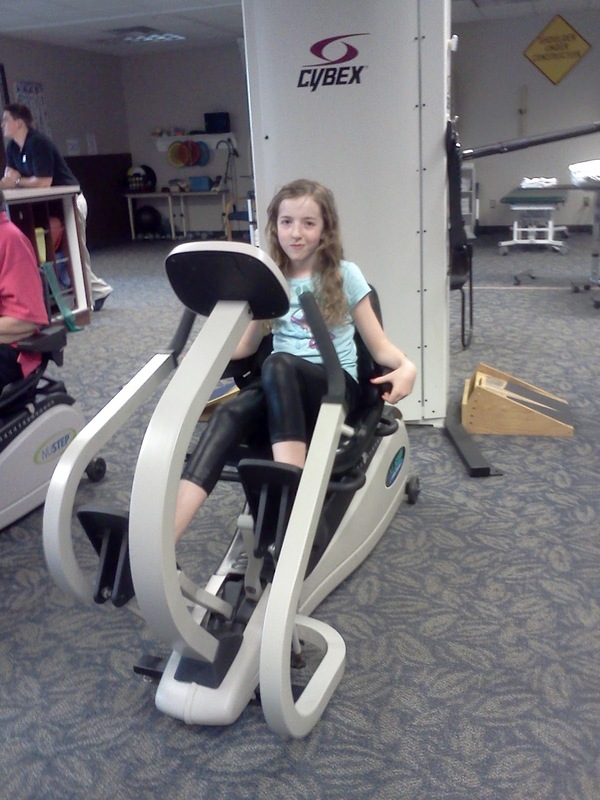 On Tuesday, Kara went to her first physical therapy session. We were given a list of exercises that she is to do twice a day. Yesterday she had her first full session. We did not realize we needed to bring tennis shoes.. oops! She did well and exercised more than she has in months. She was able to do a little walking barefoot on the hurt foot at a very slow speed. On Wednesday I had to take one of my other children to their appoint that is 45 minutes away. 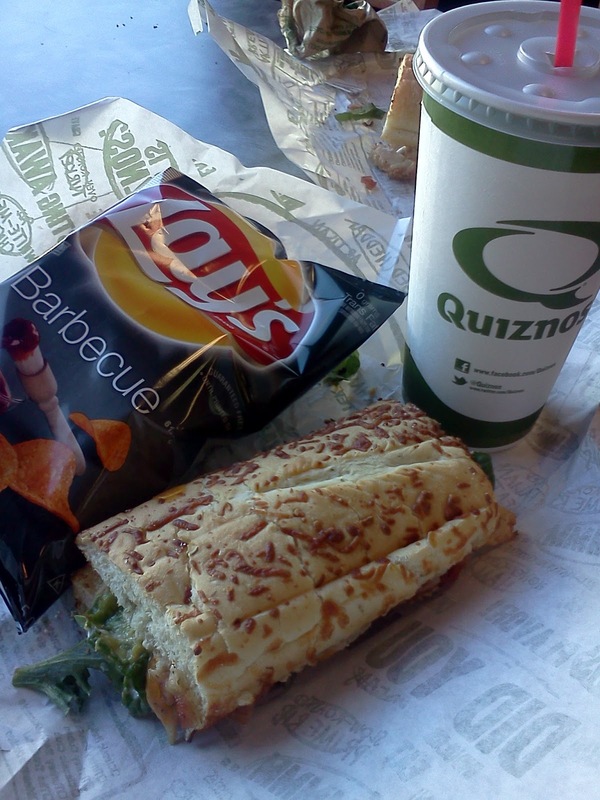 We stopped at Quiznos and used our coupons. This is a fantastic deal! We were told we could use the coupon on any sub. Regular price is $8, so we saved $5 with each coupon. I think you can still print the coupon if you are interested here. Meijer is having a fantastic sale this week. I would have done a shopping run down but just did not have the time. I saved over $30 in coupons and free promotions. 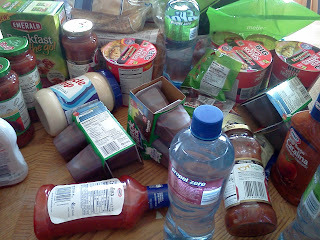 This week you can get some great deals on Chi Chis Salsa, Kraft dressing, Heinz ketchup and much, much more. I will try and write down my best deals once I have a chance to look over the receipt. I am looking forward to the weekend, but that too will be full of activity. We really hope to get the garden weeded and planted. We have to start cleaning the garage for the sub wide sale that is in early June (the last week of school, as if I didn't have enough to do that week) My high-school student has just under 20 days to finish her school work. While we are on pace in 2 classes, she is behind in two classes. I also hope to post a Memorial Day project or two. I can finally stop and take a breath on June 14. Whew!!! I was wondering where you were at, girl you are busy, just like me, somedays I think am I ever going to sit down and relax :-) Well have a great weekend! Thanks! I hope you do too! So far this evening we got a flower garden weeded. Still needed to do the veggie garden. I was also able to go over my receipt and will write out some the best deals in a bit. Need to eat some dinner first.